I hadn’t had a Fugazi fix in a while, and listening to the excellent new Evens record—featuring Ian MacKaye of Fugazi, along with Amy Farina of The Warmers—made me take a pilgrimage back to End Hits, the band’s 1998 album. 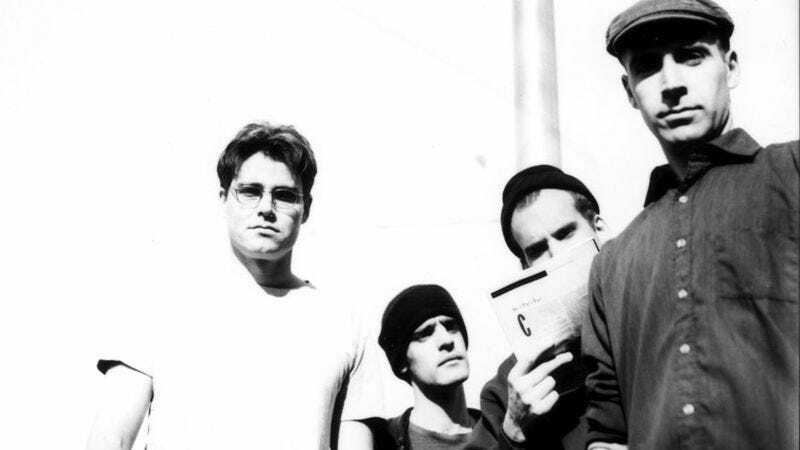 It’s not my favorite—it might not be any Fugazi fan’s favorite overall—but it still resonates. Especially the opening track, “Break,” which consists of just a few oblique lyrics followed by MacKaye shouting the title. In a way, it seems almost unfinished by design: The snaky bass and shuffling drum beats are all the way there, while the guitar and that fuzzed-out earworm of an exclamation (“Break!”) seem like great, quick ideas. It’s a strange way to begin a relatively difficult album (by Fugazi standards, anyway), but a powerful one. And it’s the type of song that inspires random exclamations from listeners once it takes root. Or maybe that’s just me.